Last week, Ohio’s public employee unions were resurrected by the voters, who turned back a state law that had torpedoed collective bargaining rights for members of those unions. There and in many other states, public sector unions have been glaringly under pressure, so much so that it’s easy to forget about their counterparts in the private sector—which are faring much worse. More than a third of public employees in the United States are still unionized, but the figure in the private sector is now running, or limping, at barely seven percent. That marginal share is roughly equal to the percentage of Americans who identify themselves as Hindus, or who believe that Elvis is still alive, according to unrelated polling. The seven-percent figure stands out for a different reason, in the mind of writer and historian Kimball Baker. It is identical to the percentage of private-sector workers who belonged to unions when a doughty group of men began their work in the early 1930s. These were the so-called labor priests—Catholic leaders who gave hope to downtrodden workers during the Great Depression. “They played a big part in getting [the unionized segment] up to 35 percent in the 1950s and afterward,” Baker, a Presbyterian, told me recently, suggesting that it may be possible for pro-labor activists today to usher in another upsurge of unionism. That may be pure speculation on his part, but far more certain is the history he spotlights in Go to the Worker: America’s Labor Apostles—a history that is recurring now. Priests with names like Hayes and Carey entered the work lives of a largely immigrant population, as Baker shows in his valuable book published last year by Marquette University Press. 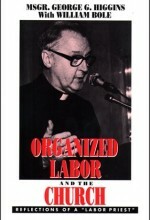 They walked with strikers on picket lines and opened “labor schools,” adult education programs in parishes, high schools and colleges that taught the nuts and bolts of collective bargaining as well as the highpoints of Catholic social teaching. In the world according to the labor priests, taking part in unions and collective bargaining was not simply an exercise of individual rights. It was an act of solidarity, a way for workers to deepen their spiritual lives and give witness to the “mystical body of Christ,” a phrase that appears frequently in Baker’s profiles of leading labor “apostles” (including a few lay men and women from that era). Like the old ones, the new labor disciples act locally. They preach in pulpits, rally seminarians, help organize low-wage workers, and sign up for pro-union campaigns (including the recent mobilizations on behalf of public employees in Ohio, Wisconsin, and other states). Unlike the old labor priests, the new activists are a diverse congregation. They draw from among Catholics, mainline Protestants, evangelicals, Jews, and Muslims, from the ranks of pastors, theologians, and people in the pews. 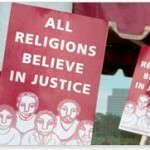 The nerve center of the new religion-labor movement is Interfaith Worker Justice, a 15-year-old national organization based in Chicago with 70 spirited local affiliates nationwide. The simple reason for this revival is that the debate over labor has returned to first principles: the right of unions to exist as a countervailing force in society. Many people of faith are choosing existence. In some pointed ways, religion and labor are a curious match. Christians, for example, sit for sermons about how the meek shall be blessed. Union members strike intimidating poses against workers who cross picket lines. But the two communities have overlapping social values, touching on the dignity of human beings and the work they do. Religion and labor also have a history together. At times it has been a conflicted one. The alliance of the past, symbolized by the Catholic labor schools, began to taper off in the 1950s, largely due to success. With the great industrial organizing campaigns behind them, there was simply less for religion and labor to do as a coalition. They went separate ways. Unions turned inward to build their institutions; religious activists gravitated toward new arenas of social action, notably civil rights and community organizing. There was a tapering off but also a falling out. During the 1960s the Vietnam War was a harbinger of clashes to come, between mainstream labor’s hard-hat foreign policy and the anti-anti-communism of many liberal religious leaders. By the 1980s, churches and unions split further, over Central America. The prospects of renewed friendship between religion and labor appeared with the passing of the Cold War. An early signal was the 1988-1989 Pittston Coal strike, which galvanized religious leaders nationwide, and which ended with the Virginia mining company withdrawing most of its draconian demands. In 1996, Kim Bobo, a former anti-hunger activist who was raised a fundamentalist in Ohio, founded Interfaith Worker Justice with $5,000 left to her in her grandmother’s will. Owing largely to this growing network, the religion-labor movement today is arguably deeper and wider than it has ever been in the United States. 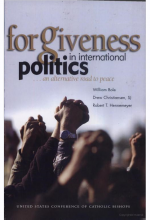 Though chiefly an activist organization, Interfaith Worker Justice has also helped renew theological conversations about human work and collective action, publishing a plethora of materials such as homily aids, liturgical resources, and papers and books. This is trickier than it may seem, in a religiously diverse movement. A couple of weeks into the Occupy Wall Street uprising, the movement began to reveal a “spiritual side,” as USA Today headlined it, and since then the prophetic showing has been emphatic at the demonstrations in New York, Boston, and elsewhere. Like other occupiers, the spiritual ones are piqued by corporate greed. A number of them take the further theological step of declaring that Wall Street worships false gods, namely money. On Sunday, a diverse group of New York religious leaders marched to Zuccotti Square carrying a handmade golden calf fashioned to resemble the iconic bull statue near the New York Stock Exchange. “We think Wall Street has become idolatrous,” said the Rev. Donna Schaper, senior minister at New York’s Judson Memorial Church and one of more than 50 clergy who joined the New York protest, independent of the chaplains group. 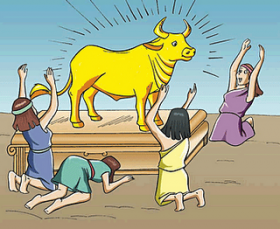 The golden calf harkens back of course to the Exodus account of when Moses went up Mount Sinai, leaving the Israelites to their own spiritual devices for 40 days and nights. Not knowing when or if he’d get back to guide them in faith, the Israelites molded the object out of golden earrings, and bowed to it. The biblical motif is resonating in the choir lofts of the 99 percent. “We believe that too many in our culture worship the false idols of profit and selfishness, which all too often comes at the expense of others,” declared the Washington group Catholics United, which is an organizing a “Catholics Occupy K Street” presence at D.C. rallies. It’s hard to argue with the proposition that greed is ungodly and that it helped trigger the financial dissolution that has finally sent people into the streets. Still, pronouncing on the mortal sins of one’s political opponents—as much fun as that could be—isn’t the only option for faith-based activists. It’s possible to speak up for economic justice without declaiming against idol worship and other evil-doing. The spiritual occupiers have offered glimpses of this possibility, even as they’ve paraded with the young bulls. As Jenkins noted, they’ve also held signs reading “Blessed are the Poor,” which is a social theology in itself. They’ve invoked biblical teachings like the Golden Rule, which would, in this context, discourage behavior that enriches some people while impoverishing others. All of the major faith traditions represented in the occupation (and they are a big interfaith tent) have systems of social ethics with teachings about wealth and poverty. These include what is phrased in Catholic social teaching as “the social mortgage” (fortuitously, in light of Wall Street’s mortgage meltdown), which fixes a public claim on a portion of private wealth. Part of the idea is that the accumulation of wealth is inconceivable apart from social relationships and public institutions. And yes, there are times when a faith community has to name certain patterns of social, political, and economic behavior as sinful (if not demonic, which is a sort of nuclear option). It’s hard to get this right, when speaking in the public square. How do you balance prophetic denunciation with public discourse that continues rather than ends the conversation? 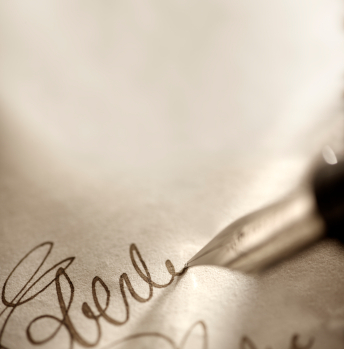 Where’s the path to moral and political consensus? 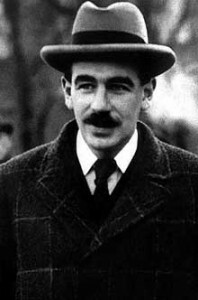 Keynes applauded what he called “the animal spirits,” the drive to invest and reap wealth. But he pointed out that these instincts are dimmed in a slumberous economy, and his theory—radical at the time—was that the government had to step in “to revive the animal spirits and jolt an economy out of its rut” by way of deficit spending, as Cassidy explains. And so, with his 1936 book The General Theory of Employment, Interest, and Money, Keynes upended economic policymaking. Through the decades, deficit spending proved an effective treatment for economic dispiritedness (though Keynes felt the medicine should be applied primarily when the economy is bedridden). He became the intellectual godparent of what is now provocatively known as stimulus spending. There’s much in Keynesian theory that jibes with faith-based reflections on the economy, and much that is, characteristically, paradoxical in that light. For one thing, it would be hard to find a religious tradition that seriously doubts government’s inescapable role in fostering economic wellbeing. “Indeed, the whole reason for the existence of civil authorities is the realization of the common good,” Pope John XXIII wrote in his 1963 encyclical letter Pacem in Terris. Different faith groups may tint this teaching in different ways. Catholic social theorists, for example, tend to speak confidently of the virtues of government, the positive good it plays in promoting human dignity and economic justice. Protestant social ethicists might at times look at government more strictly as a necessity than a blessing, a countervailing force against the abuses of wealth (just as private power is such a force against overreaching government). Neither tradition would cheer Rick Perry’s recent campaign promise to make government “as inconsequential as possible” in our lives. There’s another side of Keynes that’s seldom noted. Unlike many in his tribe, he believed that economics had a purpose beyond economics (beyond, for example, increasing aggregate demand, the goal for which he’s famous). He argued that the ultimate aim of economic activity was to contribute to “the good life,” as Robert Skidelsky relates in his engaging 2009 book Keynes: The Return of the Master. Keynes was speaking generally in the ethical sense of being a good person; he lamented greed in that context. The theologians would agree. But here comes another Keynesian paradox. He pronounced that the world was not ready for an ethical economy and probably would not be for quite some time until there’s great abundance. For at least another hundred years we must pretend to ourselves and to everyone that fair is foul and foul is fair; for foul is useful and fair is not. Avarice and usury and precaution must be our gods for a little longer still. For only they can lead us out of the tunnel of economic necessity into daylight. In other words, for all practical purposes greed is good until the far-off day when it isn’t. The animal spirits will have to remain higher on the ontological food chain than the human spirit; the economy will have to proceed in a moral vacuum. This would be the breaking point between Keynes and the theologians. The latter would say the good economy is not utopian. It’s one that helps people today become “dignified participants in their community,” as the brilliant evangelical Protestant theologian Ronald Sider has framed it. Greed is not very dignified, from that perspective. Neither is a person’s lack of minimum social goods (to borrow a phrase from Catholic social thought) such as a decent income and affordable access to healthcare. 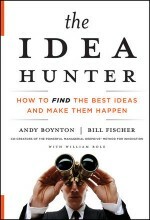 The faith-based question is how to deliver those goods in the here and now. And this brings us back, with a touch more paradox, to the government’s role in reviving the animal spirits. It winds back to stimulus. 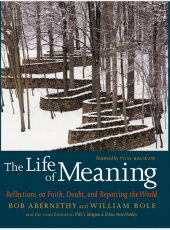 By some worldly measures, the mystic and theologian Abraham Joshua Heschel was not very embarrassable. He had fled Poland just six weeks before the Nazi invasion there, and arrived in the United States in 1940 at a time when Jews, including his fellow rabbis, were trying hard to look and sound like other (preferably secular) Americans. Heschel contributed little to the effort. At the Jewish Theological Seminary in New York, the professor would show up at 7:00 a.m. morning services donning a prayer shawl and tefillin—two small leather boxes containing scrolls with passages from the Torah (he wrapped one box around an upper arm, the other, around his forehead). During prayers he swayed back and forth while the other professors “sat stiffly, dignified,” his biographer Edward K. Kaplan noted. Heschel sported a yarmulke and grew what eventually turned into a conspicuous white beard with a surfeit of tousled white, wavy hair, as though he were vying for the lead role in a movie about the ancient Hebrew prophets. Heschel did have, however, a sense of what he termed “ultimate embarrassment.” As he saw it, this is the feeling all people of faith should have, when they stand in awe of a God who is just and righteous, who demands more of them and their world. I am afraid of people who are never embarrassed at their own pettiness, prejudices, envy, and conceit, never embarrassed at the profanation of life…. There are slums, disease, and starvation all over the world, and we are building more luxurious hotels in Las Vegas. These words were penned by Heschel in 1965—the same year he strode with Martin Luther King in the front line of the march from Selma to Montgomery for voting rights. Susannah Heschel, a noted religious-studies scholar at Dartmouth, says her father (who died in 1972) looked upon embarrassment as the beginning of religious faith, but not the end. “Embarrassment is the impulse that must lead to an awareness of being challenged,” she comments in a superb new collection, Abraham Joshua Heschel: Essential Writings, which she edited as part of the Modern Spiritual Masters Series published by Orbis Books (a Catholic publisher). Heschel’s theology of embarrassment resonates politically at a moment when poverty appears to be metastasizing in America. This month the Census Bureau reported that more than 46 million Americans were struggling below the official poverty line of $22, 314 a year for a family of four. At 15.1 percent it is the highest poverty rate since the early 1990s. Conservatives used the data to proclaim the failure of Obamanomics and trumpet their agenda of unceasing tax-and-regulation-slashing. Liberals reasserted the need for a raft of social-welfare policies including extended unemployment insurance (an existing policy that the Bureau said had kept a few million other Americans out of poverty). Analysts and partisans responded quickly to the news, but were scarcely mortified. There seemed to be little pause for reflection, little soul-searching about our collective failure over decades to lift all boats, even in the midst of rising economic tides. One analyst who has scaled the subject with both urgency and humility is Pulitzer Prize-winning former New York Times correspondent David K. Shipler. During the 1990s boom, Shipler began a long search for understanding. He traveled to African American neighborhoods in Washington, D.C., and all-white towns in rural New Hampshire, to malnutrition clinics in Boston and sweatshops in California, and many points in between. Working poverty is a constellation of difficulties that magnify one another: not just low wages but low education, not just dead-end jobs but also limited abilities, not just insufficient savings but also unwise spending, not just poor housing but also poor parenting, not just the lack of health insurance but also the lack of healthy households.